After Bitterroot Community FCU in Montana opened a new branch, it posted a 21.2% increase in new members. One credit union, Bitterroot Community FCU ($11.3M, Darby. 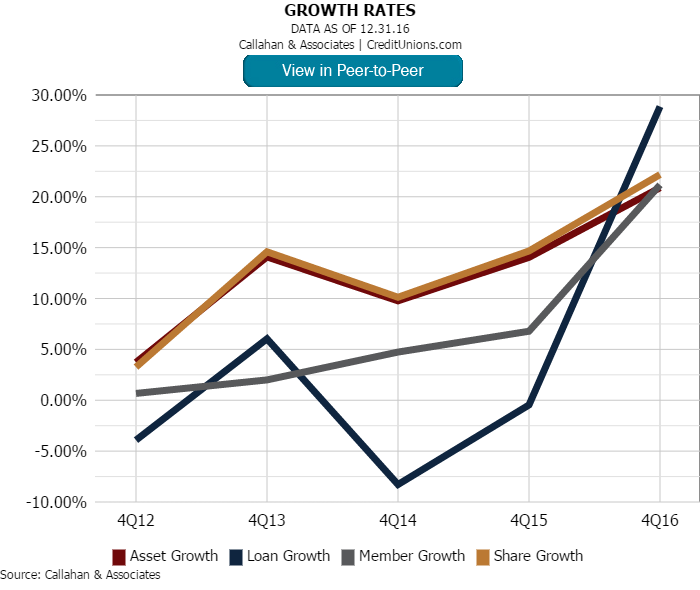 MT), has posted 21.2% membership growth over the past year — and it has posted this growth organically. Bitterroot Community doubled its branch footprint from one to two in April of 2016, which caused a rise in operating expenses and a dip in net worth. However, the opening of a new branch had a positive impact on loans, shares, members, and assets. As of fourth quarter, operating expenses at the small credit union increased by 25.4% over the past year, yet Bitterroot Community remains well-capitalized with a net worth ratio of 7.31%. In fact, its operating expense ratio of 4.09% is not too much higher than 3.51%, the average for credit unions between $10 and $12 million in assets. Although Bitterroot Community spent a little more than one-and-a-half times the amount on marketing than it did last year — expenses aimed to integrate into its new community of Hamilton, MT — the credit union increased membership by 21.2%. Whereas the average credit union of this size lost 25 members in 2016, Bitterroot Community netted a positive 290 members. With its branch expansion into the area affiliated with its community charter, Bitterroot Community now reaches 4.2% of its potential members, up from 3.4% at this time last year. 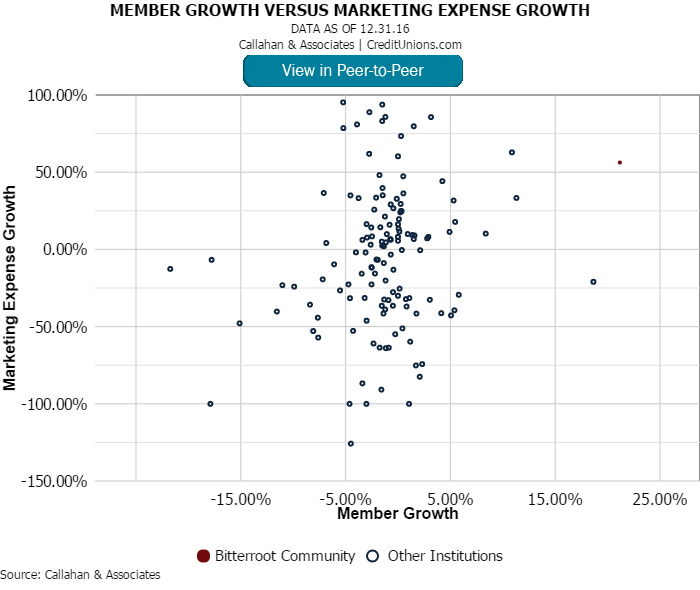 It might be difficult to determine for certain what kind of returns a credit union will see from opening a new branch; however, the gains at Bitterroot Community underscore how allocating the right amount of marketing resources when building a new branch can lead to big membership gains. Does Technology Matter To Small Credit Unions?